U.S. Army Special Forces gathered at Arlington Cemetery to lay a wreath at President Kennedy's graveside. 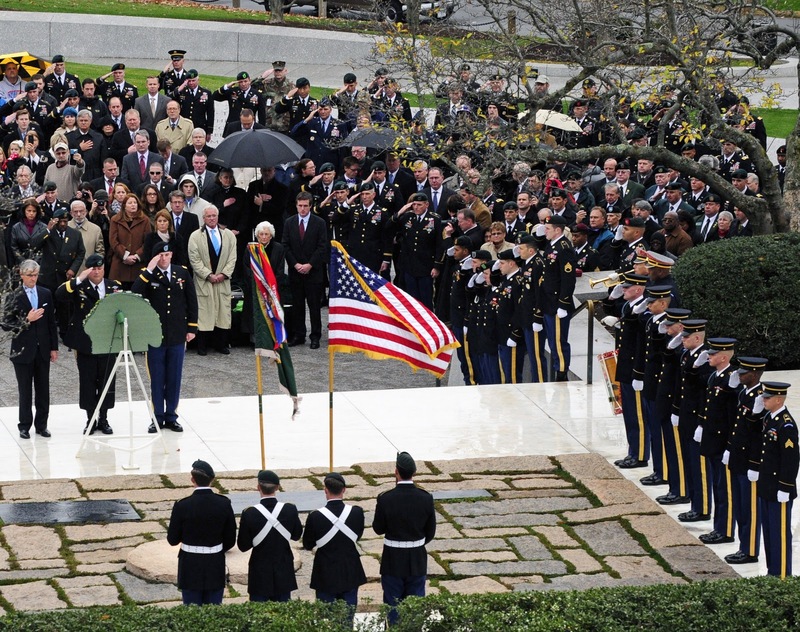 The photo below is part of the ceremony that took place yesterday in honor of the Commander in Chief that 50 years ago authorized use of the Green Beret, which is now one of the most recognized pieces of military head wear in the history of our nation. While the majority of Soldiers are no longer required to wear a beret at all with their combat uniform, however the elite Soldiers have held strong to the Green Beret, which has become synonymous with the Special Forces. Perhaps the distinction bestowed on a hat may seem silly to some, but when you are the one wearing it and know what it stands for, it takes on a whole other meaning. Obviously President Kennedy could see a need for bestowing this unique acknowledgement on these Soldiers and half a century later it has held firm. This ceremony certainly can be seen as a return of gratitude for this recognition, not just for a symbol, but the sacrifice and service that earned it.